In the purple hilly region, erosions and landslides are all serious, and it is of great scientific value and practical significance to study their formation mechanism and distribution features there. 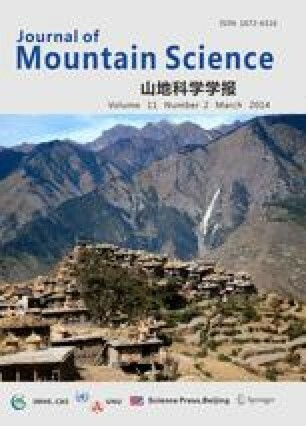 In this paper, soil micromorphological methods and techniques were used to study the erosion zonal distribution in the region. The results indicated: (1) According to erosion process, the spacial distribution zones of the erosions and landslides in the purple hilly region with different solums were divided into scouring erosion zone, transport-diffusion zone, rocks and soil turbulence zone and sediment-bury zone; (2) The soil micromorphologic taxonomic feature identifying different erosion-landslide zone were found by studying the soil micromorphology of erosive zone in purple hilly region; (3) As for the erosion-landslide formation in the region, besides the external factors, the internal factors were found more important and favorable for landslide formation through the studies on the micromorphological features of slide soil.